I love this picture! Beautiful! 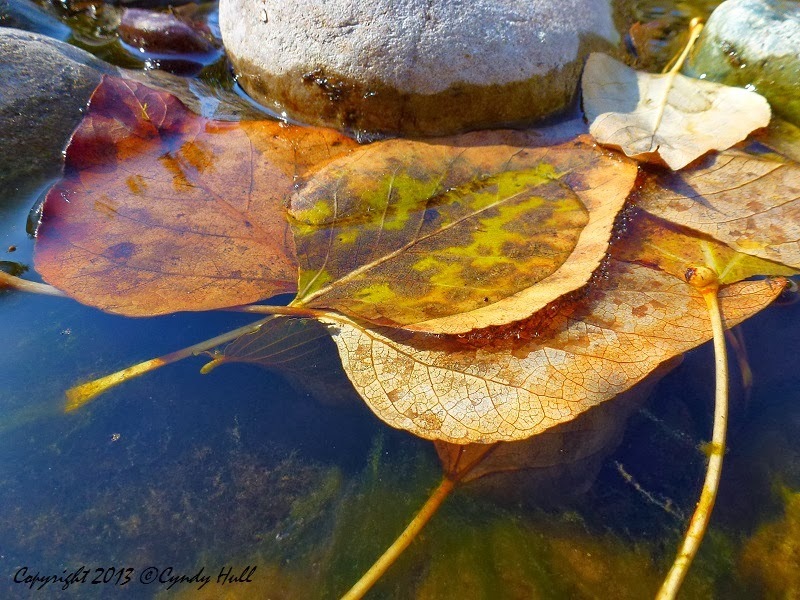 I am an artist and I like to paint leaves, water and rocks. Could I possibly get your permission to paint just the leaves (in my own photo of rocks and water) so that I could then sell the painting or enter it in painting competitions? Please let me know how I can contact you - email or text. Paint away,with my blessing! If your work progresses as hoped for, please stop in and leave a link where it can be viewed.